Winchester, Cedar Run, Port Republic, Va.
Hanover, Hanover C.H., New Bridge, Mechanicsville, New Market, Malvern Hill, Cross Keys. Upper Potomac McCoys Ferry-Conrads Ferry. 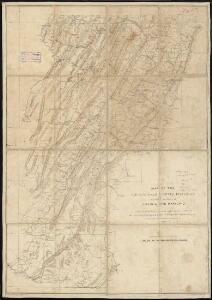 Topographical atlas of Maryland: County of Washington.